How can I ease the pain in my elbow? | Podiatry Associates, P.C. How can I ease the pain in my elbow? 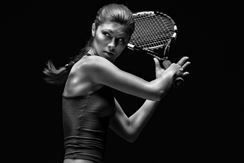 Tendinitis in the elbow is common in tennis players and golfers, as well as anyone who performs repetitive movements with their arms. Tendinitis occurs at the elbow when muscles at that joint are overworked and are not given the opportunity to completely heal. Decreased mobility and strength at any point throughout the upper extremity (shoulder included) can contribute to over-stressing the muscles at the elbow. A physical therapist will complete an evaluation of your entire upper extremity in order to determine the exact cause of your elbow tendinitis. At Castle Pines Physical Therapy, a physical therapist will tailor a treatment plan to your body's specific needs. This plan will help to create more mobility and flexibility as well as to strengthen weak muscle groups. Contact our office at 303-805-5156 to schedule appointment. Before your first therapy visit, be sure to ice your elbow to help with inflammation at the tendons. This will also ease the pain you are experiencing. Let us help you get back to the activities you love!